Who: Couples who want to get married at a luxury hotel and resort in a beautiful natural setting that is more casual and has a cozy family vibe. 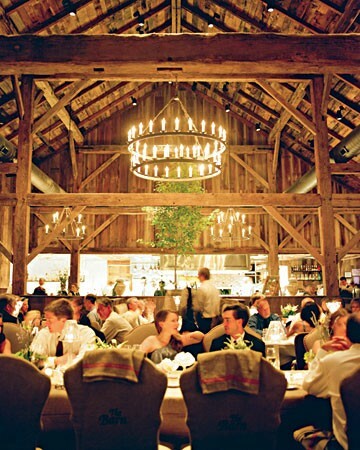 When: With four true seasons, Blackberry Farm has much to offer throughout the year. In the winter the snow capped mountains are beautiful and cozy fireplaces are put to good use. In the spring the area is abundant in wildflowers. In the summer, the warmer temperatures allow guests to partake in all of the resort activies, and fall brings beautiful foliage and comfortable temperatures. 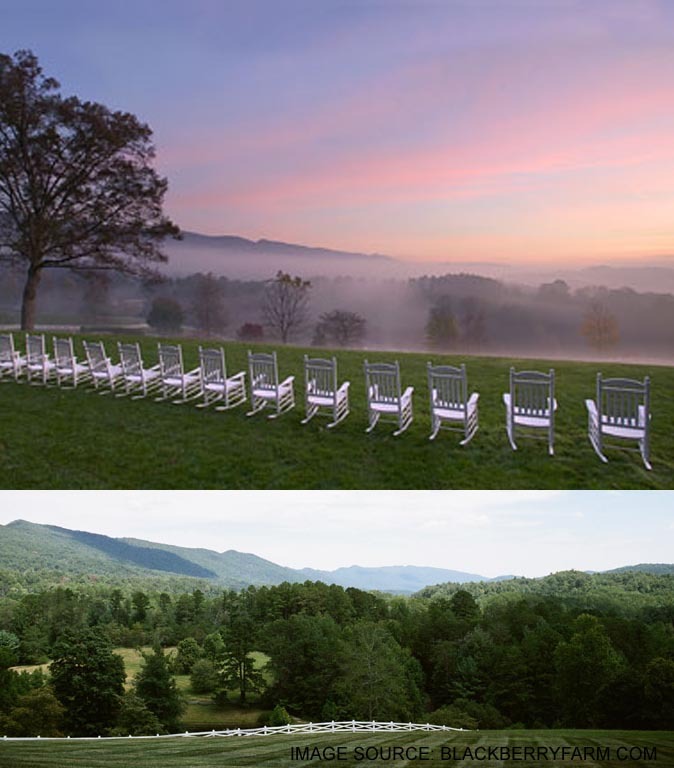 Where: A 4,200 acre sprawling estate in Walland, TN nestled at the foothills of the Great Smoky Mountains in eastern Tennessee. Why: Blackberry farms offers several different packages for weddings including the option to book the entire 62 room resort. Guest can enjoy a broad range of activities such as Orvis-endorsed fly fishing, horseback riding, cycling, visits to the onsite spa and many special activities just for children. For a fee, pets are even welcome. The cuisine is a combination of traditional Appalachian fare with a modern Southern twist. Most of the food served on the resort is actually made from ingredients grown or produced on the farm. 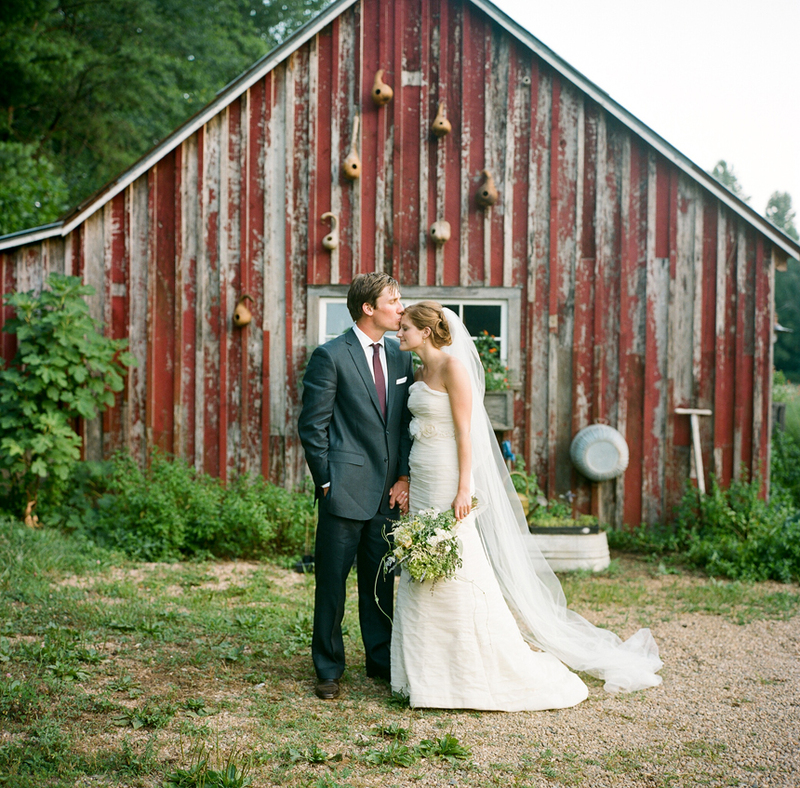 We think that Blackberry Farm would be a beautiful setting for a wedding or the perfect honeymoon destination. For more information contact BlackberryFarm. 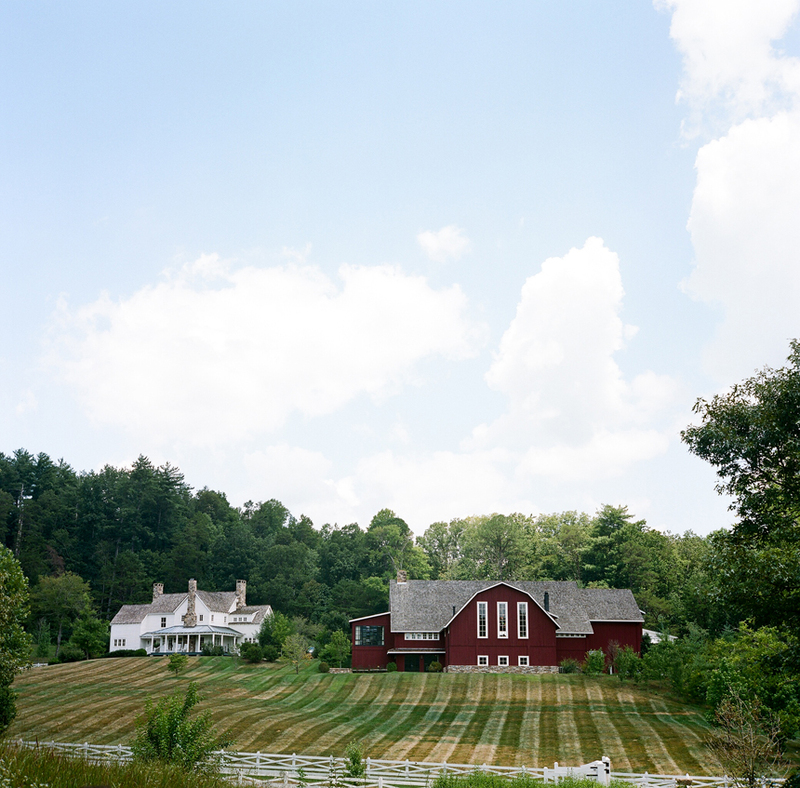 The three images above were captured by A Bryan Photo and featured in Martha Stewart Weddings.